How to spend a wonderful sommertime in the Lake Geneva Region ? A 2,000 year-old town, as dynamic and fascinating as ever? That’s Avenches, of course. Let yourself get carried away by the passion of Marie-France Meylan Krause, the director of the Roman sites and museum of Avenches and discover this Roman town, whose ancient walls still vibrate to the sounds of major festivals taking place there: Opera Festival (http://www.avenchesopera.ch/fr) , Rock Oz’Arènes (http://2015.rockozarenes.com/en/) and Avenches Tattoo (http://www.avenchestattoo.ch/en) . A unique experience. Created in 1967 by Claude Nobs, the Montreux Jazz Festival from 3rd to 18th July, has become one of the leading cultural events of the planet. For two weeks, the Montreux Jazz Festival offers an exceptional venue to musicians, a moment suspended in an intimate setting where history continues to be written each year. This athletics meeting, which is a member of the Diamond League and was listed as number 1 worldwide in 2012, has acquired international prestige over the years. Some 250 elite athletes from more than 70 countries are expected to participate. The event is held at the Pontaise Olympic Stadium in Lausanne on the 9th of July. The Paléo Festival Nyon from 21st to 26th July, has become a must-attend music event in Europe. Each year, more than 200 concerts and shows are performed for the 230,000 spectators gathered on the 84 hectares of festival grounds. Each edition features unforgettable shows and architectural and artistic installations. This event is especially dedicated to children, but not only! Families and groups of friends enjoy it too: laughter and fun guaranteed! Shows, entertainment, workshops and many other surprises to be discovered during the 9 festival days from 25th July to 2nd August held in Château d’Oex, Rougemont and Rossinière. ** Want to discover our region differently ? Let us guide you ! Download the free application “Vaud:Guide” on App Store and Google play. Copyright © 2015 Office du Tourisme du Canton de Vaud, All rights reserved. Lausanne, Switzerland, April 14, 2015. 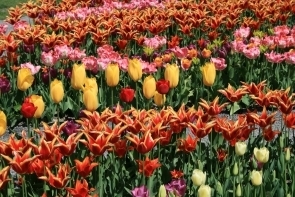 This spring in the Lake Geneva Region of Switzerland, celebrate the revival of the legendary Narcissus Festival in Montreux, luxuriate in a reborn century-old five-star hotel in Lausanne, and participate in the 100th anniversary of the International Olympic Committee at the Olympic Museum. These are among the highlights of the season. Every spring, fields of wild narcissus bloom and transform the meadows above Montreux and Vevey into what locals call Neige de Mai, the “May snow.” Between 1897 and 1957, the white blossoms were celebrated with the yearly Narcissus Festival, which culminated in a procession of floral floats that signified the end of the traditional high season in Montreux. 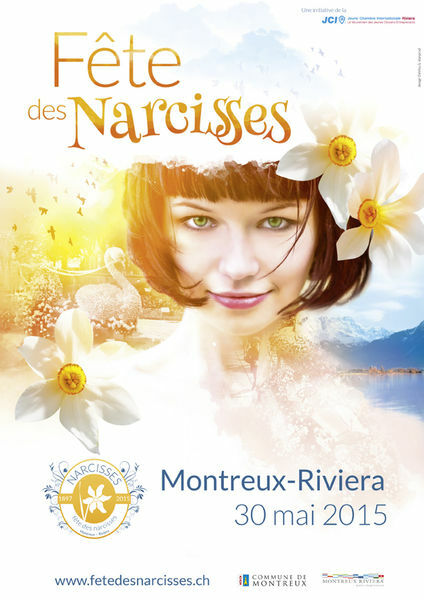 From May 2 to June 7, that tradition will be revived when the Fête des Narcisses is held once again in the Montreux Riviera after a 58 year pause. The highlight will be on May 30, when a floral float parade moves through the streets of Montreux, evoking the festival’s golden years. 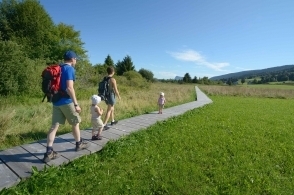 There will be marked mountain trails through the blooming fields, set against a dramatic backdrop of Lake Geneva and the Alps. The history of the festival, which began in the Belle Époque, will be honored by exhibitions in Montreux, La Tour-de-Peilz and Vevey. A folkloric market in Vevey will offer traditional wares associated with the festival, and the finale will be a gala evening and the election of the “Narcissus Queen” in Montreux. Lausanne is a city renowned for its five-star palace hotels and this summer, it will welcome the glorious reopening of one of its grand dames. After a dramatic refurbishment, the legendary Hotel Royal Savoy in the heart of the city will reopen as a five-star property. When it debuted in 1906, the palatial Art Nouveau hotel quickly became a favorite of royals from around the world. Located midway between the Lausanne train station and the shores of Lake Geneva, the hotel has undergone a more than $100 million renovation. The grand façade has been maintained but inside there are dramatic modern interiors, thanks to the award-winning Maria Vafiadis of MKV Design in London. The Royal Savoy will have 196 rooms, including 37 suites and junior suites, and one dedicated suite on a private floor. Ninety five of the rooms will be housed in the hotel’s new wing. The Royal Savoy will also unveil a new spa and fitness center that includes an indoor/outdoor pool. The hotel will have multiple dining choices, from a 120 seat main restaurant to a terrace accommodating up to 100 guests and a 60 seat lobby lounge. The spectacular new Sky Terrace on the roof will have 60 seats and a dramatic 360° panoramic view over the city of Lausanne, Lake Geneva and the Alps. The Royal Savoy, which is one of three properties of the Burgenstock Selection and is owned by Qatar-based Katara Hospitality, will reopen in the summer of 2015. The Aquatis Hotel is new three-star property that opened at the end of March and anchors the new Aquatis Swiss Aquarium and Water Museum, which will open in 2016. The hotel has 143 rooms, two restaurants with terraces that provide seating for more than 700 people, conference rooms for more than 600 participants as well as a spa and fitness center. The Aquatis is situated close to Lausanne and has striking views of the Alps, Lake Geneva and the rooftops of Lausanne. The International Olympic Committee (IOC) was founded in 1894 in Paris but in 1915, it moved its headquarters to the waterfront of Lausanne, the capital of the canton of Vaud. From March 25 to June 28, 2015, a number of events are being organised by the IOC to celebrate its centennial ties to the “Olympic Capital.” There will be an exhibition at the Olympic Museum’s gallery and on the weekend of June 27-28, there will be a joint celebration with the city of Lausanne that will include a public road race. The famous creative residents of the Montreux Riviera are legion, from Freddie Mercury and Charlie Chaplin to Ernest Hemingway and Lord Byron. To mark the presence of the musicians, writers and actors who took up residence in the region, Montreux-Vevey Tourism has launched a new mobile app called “Sur les traces de nos hôtes célèbres” (“On the Tracks of our Famous Guests”). Using location settings, the route can be followed on foot or on an electric bike, which can be rented. There is also an audio accompaniment available in English. Tim Vodoz, driver of a snow groomer in Villars-sur-Ollon / Les Diablerets. 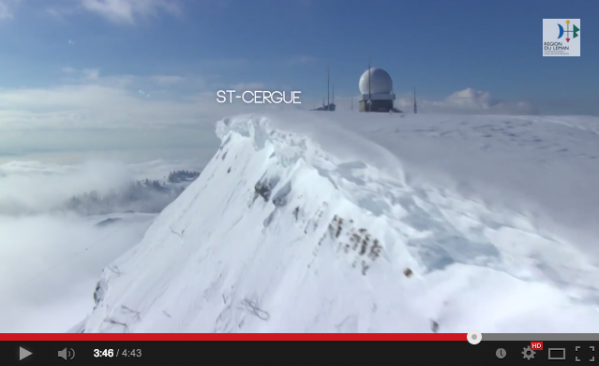 Discover the behind scenes of the slopes you enjoy skiing down on ! Enter a wonderful world in the heart of the great open spaces of the Alps of the Lake Geneva Region in the company of Tim Vodoz, who has prepared the ski runs of Villars-Gryon for eleven years. The sixth part of the “Encounter in Vaud” series presents an extraordinary job full of passion and loneliness in breathtaking scenery, which will make you dream of getting away. 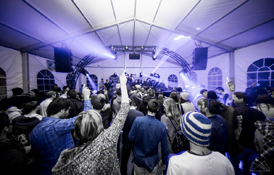 On February 27 and 28, the Leysin ski resort will be holding the very first edition of its new event called “Urban Ski”, a freestyle and music festival. On the programme: an international slackline/trickline competition, as well as a Rail Cash Contest in which the riders have to compete on a rail track to win up to CHF 500 in cash. After this great sports day, it is time to get the amplifiers vibrating with the reggae sounds of Omar Perry, the son of legendary Lee Scratch Perry! These events are open to all and free. The Marchairuz Trophy was created in 1971 in the Jura of the Lake Geneva Region. It will take place as usual on the second Sunday of March, i.e. March 8. This very popular individual free-style cross-country competition is proposed over several distances. 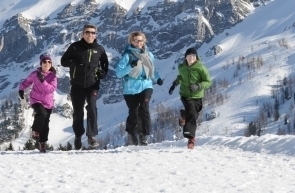 Two runs for adults over 15 or 30 km and two runs for children over 3 km or 7 km. The trophy is celebrating its 45^th edition this year! The ski club of Gimel is hoping to welcome many participants on this occasion. Participate in the great photo contest organised by the Lake Geneva Region Tourist Office. Open to all, this contest offers you the chance to win a weekend in the winter destinations of the Lake Geneva Region. Participating is child’s play! Take pictures of you, your family or your friends during your winter sports outings and share them on the social media (Facebook, Twitter, Instagram, Flickr) by adding the hashtag #MyVaud. Don’t wait any longer and – good luck! Château-d’Oex and Pays-d’Enhaut invite to participate in the first Montagnette sled trophy on Sunday, March 8, 2015 on the La Braye sled track. Whether you are with children, family or friends, you are all awaited to tear down this 4 km track with a slope of 410 m! There are two types of categories to choose from: the OGNI category with unidentified gliding objects and the sled category. One thing’s for sure: you will feel the adrenaline flow during this descent! 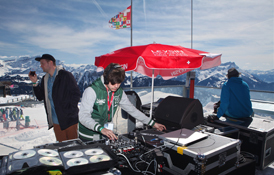 From March 27 to April 12, Villars, Gryon and Les Diablerets will be holding their low-priced spring festival called Ski & musique. 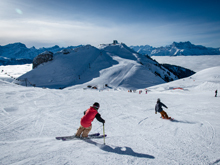 Enjoy a 30% discount on ski equipment rentals, ski lessons and accommodation. If you stay in a hotel, even the ski pass is free! DJs and musicians, such as Keziah Jones who will be performing on March 28, will get the snow runs and the resorts vibrating during two activity-packed weeks and three weekends — at no charge! March 12, 2014 Lausanne, Switzerland – Travel in the footsteps of Audrey Hepburn, ride the cheese train into the mountains, dine in the dark in Lausanne and attend a jazz festival in the wine village of Cully. These are among the highlights this spring in the Lake Geneva Region of Switzerland. Hollywood film star Audrey Hepburn left her mark on the cinematic world in films such as Charade, Roman Holiday and My Fair Lady. She also left many memories in Tolochenaz, near Morges, where she spent the last 30 years of her life. The exhibition “Audrey Hepburn à la une et sur un plateau de tournage” will be held from March 22 to June 1, 2014 at Fondation Bolle in Morges. To mark the occasion, Morges Region Tourism is relaunching its On the Trail of Audrey Hepburn Package. It includes one night in a three- or four-star hotel, a special “In the footsteps of Audrey Hepburn” town map, admission to the new “Homage to Audrey Hepburn” exhibition at Fondation Bolle, coffee at the Maier Confectionary, a tea room frequented by Audrey Hepburn, and a box of “Audrey Hepburn” chocolates in a commemorative tin. The offer is good from April 1 to December 31, 2014. Rates start at $98 per night, based on double occupancy. For information on participating hotels and to book, contact Morges Tourism, info@morges-tourisme.ch or visit www.morges-tourisme.ch (Press may contact ConranPR for a list of participating hotels). The 2014 edition of the Michelin Guide has awarded stars to 14 restaurants in the Lake Geneva Region, for a total of 19 stars. GaultMillau gave 103 restaurants in the region a total of 1,434 points and singled out Christophe Pacheco of the restaurant Le Berceau des Sens at Lausanne Hotel School as “Discovery of the Year” in French-speaking Switzerland. Thibaut Panas of the Beau-Rivage Palace in Lausanne, was awarded “Sommelier of the Year”. You don’t need to be a millionaire to enjoy Swiss hospitality at these three-star hotels, one reborn and one brand new. In the heart of Swiss wine country, the Hôtel du Nord in Aigle is a three-star property that’s close to Aigle Castle and a quick train ride to the alpine resort of Leysin. There are 24 redecorated guest rooms and a new bar/lounge where guest can sample local Chablais wines. From $172 per night, including breakfast, based on double occupancy. The new Discovery Hotel is located in Crissier, just minutes from Lake Geneva and Lausanne. When it opens in April 2014, this three-star superior hotel will have 98 rooms, a fitness center, a restaurant with terrace and a roof terrace with panoramic views of the Lausanne area. All of this from $143 per night, including breakfast, based on double occupancy. The Lake Geneva Region has launched a new video project, focusing on the people who embody the region and its traditions. The first video is about Renato Häusler, the “guet” (night watchman) of the Cathedral of Notre Dame of Lausanne. Since 2002, Renato has carried out a Lausanne tradition that dates back over 600 years to 1405. From the walkway atop the 246 foot cathedral tower, Häusler calls out the hour between 10 p.m. to 2 a.m. “C’est le guet, il a sonné dix…” (“It’s the watcher, it has rung ten…”). Click here to view the video. Finish the year on a bright note! 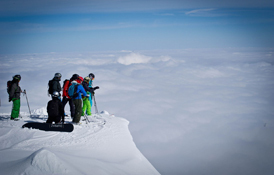 October 2, 2013 Lausanne, Switzerland – The world’s most dramatic balloon festival, hotel renovations, traditional Christmas markets and an opportunity to become a Swiss watchmaker for a day are among the highlights of winter 2013-2014 in the Lake Geneva Region. The mountain village of Château-d’Oex will play host to the 36th annual Festival International de Ballons from January 25 to February 2, 2014. Thanks to a remarkable microclimate, Château-d’Oex, has become the world capital of hot air ballooning. It was from here that Bertrand Piccard and Brian Jones took off in their balloon, the Breitling Orbiter, in 1999 and became the first men to pilot a balloon around the world. More than 80 balloons from 20 countries will take to the skies in this magical Alpine setting. Fourteen new rooms have been built in the French-style garden of the Hostellerie Le Petit Manoir, a four-star property located in an elegant 18th century manor house in Morges. The hotel, which previously had just 11 rooms, boasts a wellness area and Le Restaurant du Petit Manoir. It’s run by Chef Julien Retler, who won the Gault & Millau discovery award in 2012 and was awarded one star by the Michelin Guide in 2013. The five-star Beau-Rivage Palace in Lausanne-Ouchy, on the shores of Lake Geneva, has just transformed 37 guestrooms. Interior designer Pierre-Yves Rochon, famed for creating the look of such properties as London’s Savoy and Four Seasons Georges V in Paris, is responsible for the design. Choosing the lake itself as the recurring motif for this renovation, Rochon utilized mirrors to bring views of water and more light into the rooms. He even made some bathroom walls transparent so that guests could enjoy the amazing lake and mountains views. By the time work concludes in May 2014, 61 more rooms will have been renovated. The legendary Montreux Noel, Switzerland’s most famous Christmas Market, extends from the quays along Lake Geneva and up into the mountains. More than 150 craftspeople set up stands in colorfully decorated chalets from November 22 to December 24, 2013. An equally festive market can be found at the Lausanne Christmas Market. The second annual Festival Lausanne Lumières will light up the streets of the lakeside city of Lausanne from November 22 to December 31, 2013. Artists will create light installations throughout the city center, on bridges, streets and building facades. Swiss precision is exemplified by the country’s legendary watchmakers, such as Lionel Meylan of Vevey. Now Meylan and his son, Julien, have opened their workshop to the public and invited them to sit at a workbench and learn about the fine art of assembling a Swiss watch. No previous knowledge is required, just patience. The workshop, which costs $325, lasts for three hours and is by appointment only. 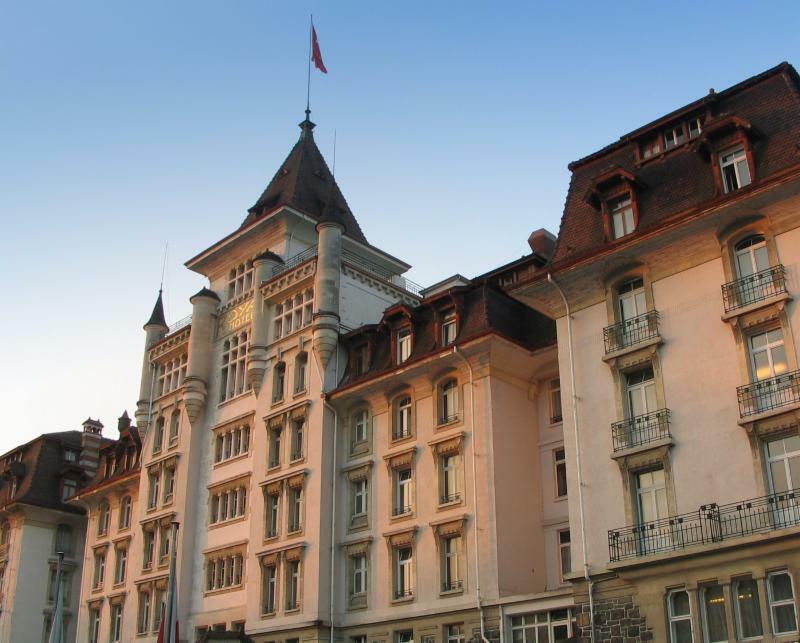 The Swiss Sports Congress has given official approval to Lausanne’s bid to host the 2020 Winter Youth Olympics. The final decision will be made in summer 2015 by the International Olympic Committee (IOC). The Olympic Museum in Lausanne anticipates it will reopen this winter, after being closed for nearly two years for extensive renovations. This institution promotes the union of sport, art and culture and offers an extensive inter-active collection that documents the history of the Olympic Games. A four-meter-tall Omega countdown clock has been installed at the nearby Place de la Navigation in Lausanne-Ouchy, showing the time left until the Sochi Winter Olympics in Russia in February, 2014 and the Rio de Janeiro Summer Olympics in 2016. 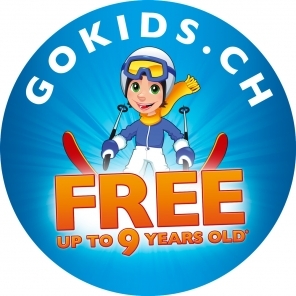 This winter, the alpine ski resorts of Leysin-Les Mosses, Villars-Gryon, Les Diablerets and Château-d’Oex-Rougemont are offering free skiing for children up to age nine. 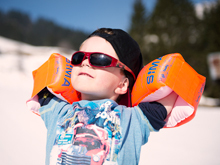 There is also free accommodation for children at selected hotels in these resorts in the Alpes Vaudoises. April 30, 2013 Lausanne, Switzerland – New hotels, traditional markets and a permanent exhibit on the life of Audrey Hepburn are among the highlights of 2013 in the Lake Geneva Region. Hôtel des Inventions is a new three-star hotel in Ecublens, a suburb of Lausanne. Set to open in early summer, each of its 50 rooms and suites will highlight a different Swiss invention, from Lindt chocolate and bircher müesli to the bathyscaphe of Auguste Piccard. The property is a member of the Hôtels et Patrimoine group. Le Baron Tavernier, in the heart of the UNESCO World Heritage Lavaux vineyards in Chexbres, has just completed eight new suites and the new Spa Valmont, with swimming pool, Jacuzzi, hammam and sauna. The hotel offers a wide variety of regional specialties in the traditional restaurant, as well as panoramic views of Lake Geneva and the Alps. La Maison d’Igor is a new eight-room boutique hotel in the lakeside town of Morges, located in the house where composer Igor Stravinsky lived between 1915 and 1917. Stravinsky composed several notable works here, including Renard. Surrounded by lush gardens, the hotel has opened its new restaurant, La Table d’Igor, with a menu comprised of dishes made with fresh local and seasonal products. Farm-to-table has been a way of life in Switzerland for centuries. 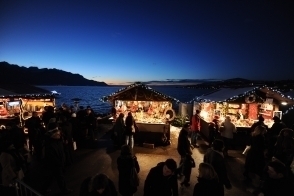 The best way to experience this “Living Tradition” today is at one of the open-air markets in the Lake Geneva region. In Yverdons-les-Bains, a food and flower market is held every Tuesday and Saturday, while Wednesdays and Saturdays are market days in both Lausanne and Morges. The most colorful market of all may well be the Marchés Folkloriques de Vevey, held every Saturday from July to September, where visitors can taste wine from the local vineyards in addition to shopping for fresh local produce, cheese, breads and more. The actress Audrey Hepburn is the focus of a newly opened permanent exhibition at the Fondation Bolle in the town of Morges, where she lived for nearly 30 years. Objects, photos and other materials have come from Hepburn’s partner, Robert Wolders, and her son, Luca Dotti. During the ongoing renovation of the Olympic Museum in Lausanne, which promotes the union of sport, art and culture, visitors can board a boat with Olympic exhibits that will be moored at the Ouchy Pier all summer. The museum is expected to reopen its doors in October 2013, after a nearly two year renovation. La Maison d’Ailleurs in Yverdon-les-Bains is currently presenting its first permanent exhibition, Souvenirs du Futur. Showing the development of science fiction from the 19th to the 21st century, the museum utilizes its collection of more than 100,000 items, including books, cartoons, posters and toys. The exhibit runs until August 25. The Castle of Prangins, located close to Nyon, has just opened a new permanent exhibition, Noblesse oblige! Life in a Castle in the 18th Century. The exhibit focuses on the everyday life of a noble family in the canton of Vaud at the end of the 18th century, an in-depth look at wealth, property and family life. The Lavaux Vinorama is a discovery centre dedicated to the Lavaux vineyards, a UNESCO World Heritage Site on the shores of Lake Geneva. 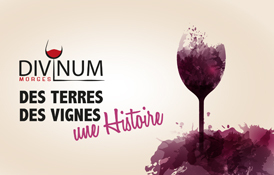 More than 170 wines produced in the Lavaux are on display and each week, a selection of wines is available for tasting. The 47th Montreux Jazz Festival promises to be one of the best in recent memory, with performances by Prince, Leonard Cohen, Sting, Diana Krall and Kraftwerk, among others. More than 220,000 music fans are expected to attend the festival at the Stravinski Auditorium and Miles Davis Hall from July 5 to 20, 2013. St. Prex Classics 2013 will take place from August 20 to September 1, 2013, in Saint-Prex on the shores of Lake Geneva, not far from Lausanne. The event features major performers from the worlds of chamber music, ballet and vocal performers on the Luna stage. The revolutionary Luna project, created by the Lausanne Federal Institute of Technology (EPFL) was designed to increase temporarily increase seating in the historic medieval town of Saint-Prex while preserving the architecture and the setting. The dome of the Luna stage also provides exceptional acoustics for international performers. Alt. +1000 festival de photographie is focused on the village of Rossinière in the foothills of the Swiss Alps from July 13 to September 22, 2013. The village is renowned for its 17th- and 18th- century architecture and verdant setting and the second edition of this unique photography festival will contrast this village identity with the inquisitive and provocative viewpoints of contemporary photographers. The 19th Avenches Opera Festival runs from July 5 to 18th and will feature Giuseppe Verdi’s “Nabucco” in Avenches’ magnificent Roman arena. This festival has evolved into one of Europe’s major opera events, a unique venue for renowned national and international artists who perform in a striking setting that attracts thousands of opera lovers every year.